I told you that I have three writing projects underway at the same time – something I’ve never attempted before – but I have a confession to make. There’s now a fourth. Yes, crazy but it’s true. When a friend, who has a long-time connection with a Seattle playhouse, suggested I should try my hand at writing a play, I got pretty excited by the possibility of seeing something I’ve written performed live on stage! So I got to work immediately, studying up on playwriting and trying to condense The Ladies of Rosings Park down to a play-length story. Not an easy task, as it turns out. At the same time, I don’t want to neglect my other projects – #1 a Northanger Abbey sequel and #2 a non-JA story, which I profiled for you in my previous two posts, as well as #3: a Jane Austen devotional based on her prayers. I have always been curious about Jane Austen’s spiritual side. We know she was raised in a Christian home, the daughter of a (by all accounts) dedicated Anglican minister, as well as having a brother (and later a second) belonging to the profession. She no doubt attended church nearly every Sunday of her life. Still, that didn’t prove sincere faith then anymore than it does now. I suppose an argument could even be made to the contrary. For example, we see very few overtly Christian sentiments expressed in her novels. 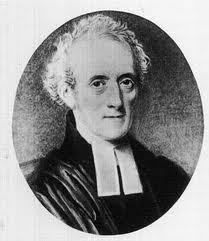 In fact, some of the portraits she draws of clergymen are quite unflattering (i.e. 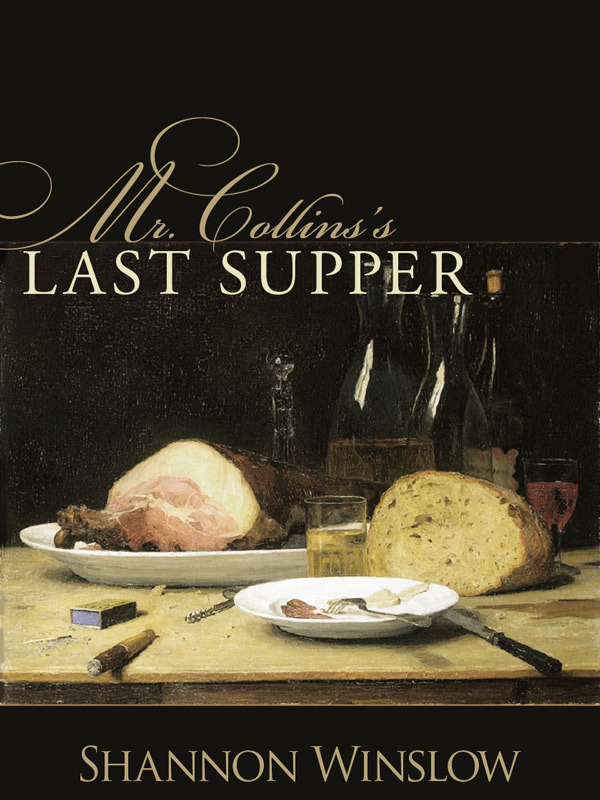 Mr. Collins). Also, some darker examples of her razor-sharp wit/humor (especially some preserved in her personal letters) might even be called caustic or irreverent. However, I think it would be a mistake to conclude from this that Jane Austen didn’t take her faith seriously. Being a Christian doesn’t mean having no sense of humor, and not every pastor is a shining example, especially in Jane Austen’s day, when many went into the profession for the wrong reasons – as a convenient means of making a genteel living rather than in answer to a true calling from God. 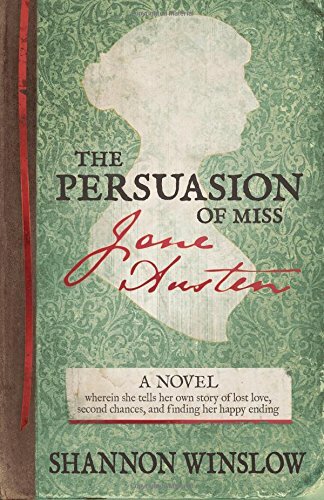 As for Jane Austen’s novels, although they are stories written from a Christian perspective, upholding Christian beliefs and values, they would not qualify for today’s “Christian Fiction” genre. Indeed, in Austen’s society there would have been no reason for what is now a separate and distinct category of fiction, no need to make a point of declaring the gospel message in every book where church attendance and allegiance to the Christian faith were the norm, not the exception. I believe this fact explains a great deal. Here and there in Austen’s novels, however, we do catch a glimpse of something that might be construed as a reflection of Austen’s personal faith. We notice the “God bless you” at the close of Darcy’s letter to Elizabeth, for example, and the many occasions where God’s name is invoked in crisis or in thanksgiving. But perhaps the clearest example appears in Mansfield Park. There, Austen uses Mary Crawford’s attitude toward elements of faith as one means of revealing that lady’s faulty character. Mary openly ridicules the practice of family prayers, chapel attendance, and the clerical profession as a whole. 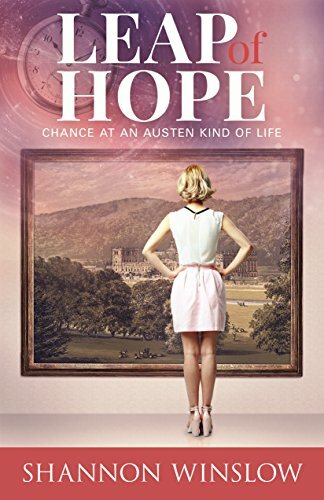 By contrast, Austen’s heroine Fanny Price is reverent, honorable, and chaste – a much better candidate for an Austen-style heroine and a better choice of partner for future clergyman Edmund. For the most convincing evidence of Jane Austen’s sincere personal faith, however, we must look beyond her novels, which are, after all, not autobiography but fiction. We must look to how she faced death (when she made a point of receiving the sacrament of Holy Communion) and we must look to her prayers. No one knows how many eloquent prayers the authoress may have composed in her lifetime. As with her letters, it seems likely that only a fraction of the original number have survived. We have only thee rather lengthy examples remaining to us, in fact. But each line of each one is a mini pray in itself, I realized, worthy of pausing for further contemplation. So that’s what I’m doing in the devotional I’m working on. I have broken Jane Austen’s three surviving prayers down into individual petitions, allowing each to inspire a separate meditation with illustrations from her novels. Jane Austen drew her characters so convincingly – seeming like real people with real thoughts and problems – that their stories constitute a rich resource for teaching spiritual principles. The devotional is about 1/3 done, which means it’s currently in the lead among my three main writing projects as to reaching the finish line! But the dark horse in the race is that play I mentioned. I’ll keep you posted on how that goes! Time for a brief update, and then I have something fun for you to read – the opening of a work in progress. First, though, for those of you who have been asking, I wanted to let you know that the audiobook of The Ladies of Rosings Park will be out very shortly. Yay! It’s in the final review stage, and I don’t anticipate any further delays. Now for my work in progress. If you read my post Which Book Should I Write Next? a couple of months ago, you know I was in a bit of a quandry at the time. The situation is still not entirely resolved either, not even after all your excellent suggestions. Instead of starting work on one new project, I’ve actually begun three at once, two of which weren’t even on my list of proposed options before! 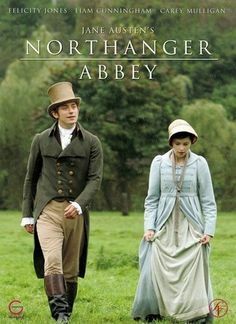 I’ve started a non-JA short story / novella about a car (if you can believe it), my first non-fiction piece (a JA devotional), and then #3 from my list of possibles – a campy Northanger Abbey sequel, Gothic murder mystery style. How’s that for a ecclectic mix? Rather than settling down to one at a time, I may just work on whichever inspires me most on any given day and see which makes it to the finish line first. Today, though, I want to share the first part of what I’ve written for the NA sequel, proposed title: Midnight at Northanger Abbey. Be sure to let me know what you think! No one who had ever seen Catherine Morland in her infancy would have supposed her born to be a heroine. Her situation in life, the character of her father and mother, her own person and disposition, were all equally against her in the beginning. But when a young lady is to be a heroine, no perverseness of circumstances can prevent her. Something must and will happen to throw a hero in her way, and Catherine Morland’s case was no exception. Having thoroughly prepared herself for heroism in her adolescence by the industrious study of every novel – romantic to thoroughly horrid – she could, by fair means or even mildly foul, lay her hands upon, Catherine herself was hardly surprised when adventure and intrigue found her the moment she set foot outside her own sleepy community of Fullerton. It was inevitable that such a fate would overtake her, she believed, and oh, how she had longed for it! She had quite counted on it. Indeed, if nothing whatsoever had happened in Bath, if love and adventure had not been expectantly waiting for her there, she would have been exceedingly disappointed. She would have thought it unfair in the extreme. But in fact, love and adventure did find her, as she had always foreseen. It was only now, some time afterward that she had difficulty believing it. Parts of the story began to feel like an implausible dream: those early heady days exploring Bath with the inconstant Isabella Thorpe, being introduced to Henry at the assembly rooms completely by chance, her uneven acquaintance with the rest of his family, the surprising invitation to Northanger Abbey, and finally her violent expulsion from that place with Henry following, resolved on marrying her. It must all be true, however, Catherine reasoned when she blinked awake this particular morning, experiencing the same feelings of dawning pleasure as many other mornings before and since. This ceiling over her head was certainly not the ceiling of the crowded bedchamber she had shared with her sisters in Fullerton. This bed was more comfortable too, and its bedclothes newer and sweeter smelling than those which had embraced her throughout childhood (and which she had had the duty of laundering herself). No, the dream was become reality, and this was Woodston parsonage. For the most conclusive evidence of that, she slowly turned her pretty face to the left, blushing becomingly in anticipation as she did so. As she suspected and hoped, it was not any mere sister’s visage that then greeted her eyes but a handsomely masculine face instead. “Good morning, Mr. Tilney. Yes, I did, thank you.” she returned, smiling as if she possessed a delicious secret too good to tell. For it still seemed to her somewhat of a miracle that Henry Tilney was there in her bed, that he was truly her husband – a miracle that needed constant confirmation. The sight of him, albeit exceedingly agreeable, was not enough. Hearing his familiar voice, still rumbling with the effects of sleep, was yet insufficient for her. She must consult her other senses as well. Henry had quickly learnt this about his young bride – her need for continual reassurance – and he was always happy to oblige her with every positive proof of his presence and his love that she required. Toward that end, he now pulled her close and proceeded to bestow kisses here and there upon her person – affectionate or passionate according to what was wanted – and to furnish whatever other personal attentions seemed advisable. Catherine, sighing contentedly and abandoning herself to his capable ministrations, wondered if there could possibly be any felicity in the world to equal it. I’m also assuming you know that the novels of Jane Austen and Georgette Heyer top my list, along with classics like Little Women, Anne of Green Gables, To Kill a Mockingbird, and selections from Dickens, Elizabeth Gaskell, George Eliot, and E. M. Forster. You can also add all James Herriot‘s All Creatures Great and Small books, Jan Karon‘s first three Mitford series books, and anything written by Julie Klassen. I deliberately choose to read very little JAFF myself, since I don’t want to be influenced by another author’s storyline ideas. Instead, I try to sample from a wide variety of other genres. Being in a book club helps keep me from getting stuck in a rut. The assigned book of the month might not be something I would have picked on my own, but it usually turns out that I enjoy it… or if not actually “enjoy” it, at least I’m glad to have broadened my reading horizons a little. 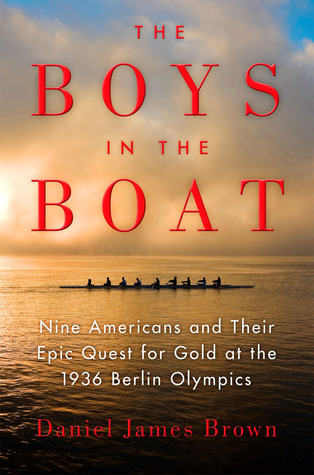 The Boys in the Boat, by Daniel James Brown – This book tells the story of the University of Washington’s 1936 eight-oar crew and their epic quest for a gold medal at Hitler’s 1936 Berlin Olympics. Very rarely do I come across a book that accomplishes the tricky twin feats of 1)making history completely fascinating and 2)being equally engaging for both my husband and myself. This is one of those rare finds. Some of the credit goes to the true-life material the author had to work with. Who doesn’t like to root for the home-grown underdogs to succeed against all odds, and then cheer when the dream miraculously comes to fruition? But the story was masterfully told as well. The author obviously did his research, and then humanized the events by letting us get to know and care about “the boys” involved. Since much of the action takes place in Washington State, where I live, the historical references were even more personal to me. 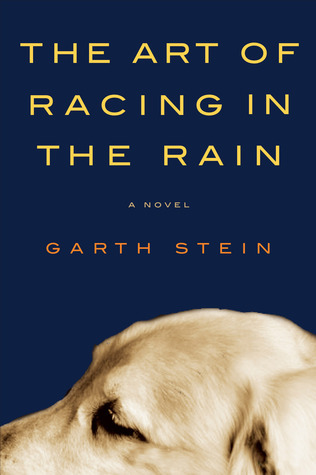 The Art of Racing in the Rain, by Garth Stein – Enzo knows he is different from other dogs: a philosopher with a nearly human soul (and an obsession with opposable thumbs), he has educated himself by watching television extensively, and by listening very closely to the words of his master, Denny Swift, an up-and-coming race car driver. A heart-wrenching but deeply funny and ultimately uplifting story of family, love, loyalty, and hope, The Art of Racing in the Rain is a beautifully crafted and captivating look at the wonders and absurdities of human life…as only a dog could tell it. 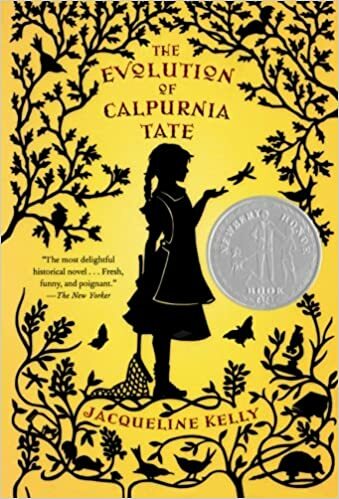 The Evolution of Calpurnia Tate, by Jacqueline Kelly – Calpurnia Virginia Tate is eleven years old in 1899 when she wonders why the yellow grasshoppers in her Texas backyard are so much bigger than the green ones. As Callie explores the natural world around her, she develops a close relationship with her grandfather, navigates the dangers of living with six brothers, and comes up against just what it means to be a girl at the turn of the century. I found the home-spun feel of this story totally charming, reminding me of To Kill a Mockingbird. It’s “for young readers” but it’s perfect for adults too. There’s a sequel (The Curious world of Calpurnia Tate) which is just as good. 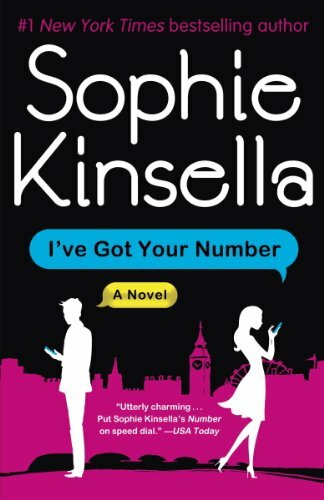 I’ve Got Your Number, by Sophie Kinsella – Poppy Wyatt is feeling lucky because she’s about to marry her ideal man. Then one afternoon, disaster strikes. She loses her irreplacable engagement ring in a hotel fire drill, and then her phone (on which she’s totally dependant) is stolen too. As she paces shakily around the lobby, she spots an abandoned phone in a trash can. Finders keepers! Now she can leave a number for the hotel to contact her when they find her ring. Perfect, except that the phone’s owner, businessman Sam Roxton, doesn’t agree. He wants his phone back and doesn’t appreciate Poppy reading his messages and wading into his personal life. What ensues is a hilarious and unpredictable turn of events as Poppy and Sam increasingly upend each other’s lives through emails and text messages. “A screwball romance for the digital age,” says one reviewer. It’s clever and fun. I enjoyed it tremendously and went on to read two more Kinsella novels. Fair warning: there is a fair amount of bad language to put up with in this one. 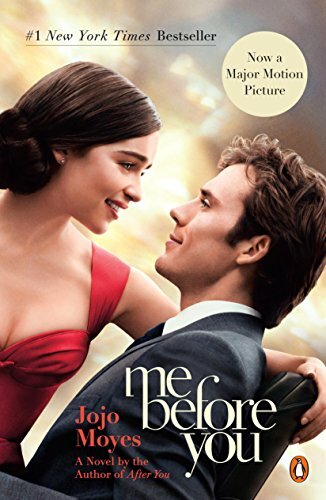 Me Before You, by Jojo Moyes – Louisa Clark is an ordinary girl who has barely been farther afield than her own tiny English village. She takes a badly needed job working for ex–Master of the Universe Will Traynor, who is wheelchair bound after an accident. Will has always lived a huge life—big deals, extreme sports, worldwide travel—and now he’s pretty sure he cannot live the way he is. Will is acerbic, moody, bossy—but Lou refuses to treat him with kid gloves, and soon his happiness means more to her than she expected. When she learns that Will has shocking plans of his own, she sets out to show him that life is still worth living. Don’t expect a JA style happily ever after. But it’s a compelling story well written. I liked it so much that I went on to read four more of Jojo Moyes’s novels afterward. 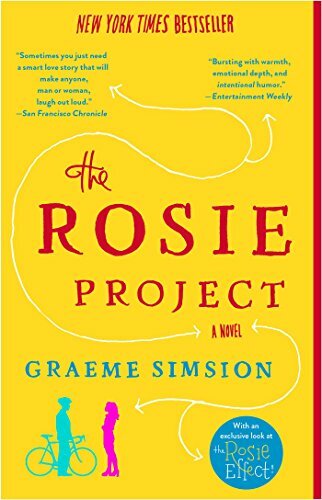 The Rosie Project, by Graeme Simsion – Meet Don Tillman, a brilliant yet socially inept professor of genetics, who’s decided it’s time he found a wife. In the orderly, evidence-based manner with which Don approaches all things, he designs the Wife Project to find his perfect partner: a sixteen-page, scientifically valid survey to filter out the drinkers, the smokers, the late arrivers. Since Rosie Jarman possesses all these bad qualities, Don easily disqualifies her as a candidate. But Don is intrigued by Rosie’s own quest to identify her biological father. 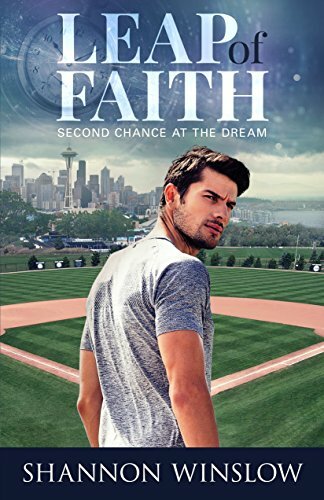 When an unlikely relationship develops as they collaborate on The Father Project, Don is forced to confront the spontaneous whirlwind that is Rosie―and the realization that, despite your best scientific efforts, you don’t find love, it finds you. Unique, quirky, fun, and full of heart. It is definitely one of my all-time favorites! I could go on… and on… and on, but you have to draw the line somewhere! Hope you find at least one you especially enjoy! Now, do you have a favorite to add to my list? In just a few weeks, my eighth novel will be published! I can hardly believe it. When I sat down a dozen years ago to make a first attempt at writing a sequel to Pride and Prejudice, little did I imagine what would follow! I’ve learned and experienced so much in that time – things I never expected – and it’s been a fabulous ride so far. I’m not finished yet, either. I have ideas for at least five more books. Once a story is finished, I get a little impatient with the post-production phase (editing, formatting, cover design, etc. ), which seems to take so long. But we’re getting close enough now that it’s time to reveal the cover – always an exciting moment for me! Instead of the standard “Ta-da! Here it is.” I thought I’d do something different this time, something including audience participation. Confession: I’ve recently become completely hooked on doing on-line jigsaw puzzles. Do you know the ones I mean? The advantage over regular jigsaw puzzles, which I’ve always loved, is that there are an endless supply of new puzzles to do, and all the pieces are turned right side up for you! Oh, and it doesn’t take over your dining room table for weeks at a time either. 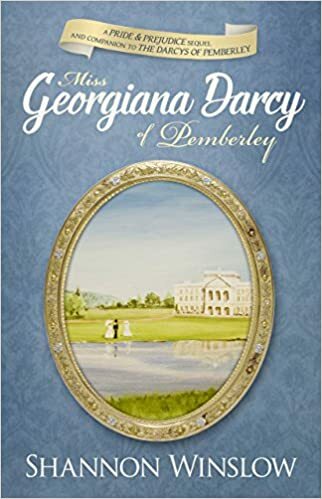 When the picture is complete, you’ll probably notice that this new cover resembles the cover of Miss Georgiana Darcy of Pemberley quite a bit. That’s intentional, since this book is comparable to that one in many ways. 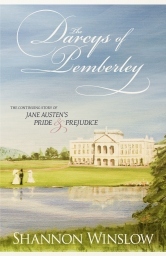 Both take silent minor characters (neither Georgiana nor Anne de Bourgh has a single line of dialogue in Pride and Prejudice) and give them full stories, stories that agree with The Darcys of Pemberley and expand on it laterally. Besides, I’ve always thought Goergiana’s cover was particularly nice. Now off you go! Have fun, and come back here when you’re done to tell me what you think.